The team of the Week 27 features less known players as well as one player from the Greek League. Star players like Di María, Hernández, and De Vrij also made it to Team of the Week 27. Let’s take a look at their performances last week and how they deserved the place in TOTW 27. Amiens drew their game against Angers last weekend. There were no goals scored. Gurtner managed to keep a clean sheet with three brilliant saves. He is definitely not one of the best Ligue 1 goalkeepers, but if you don’t have many coins, he could be a good option as he is very cheap. 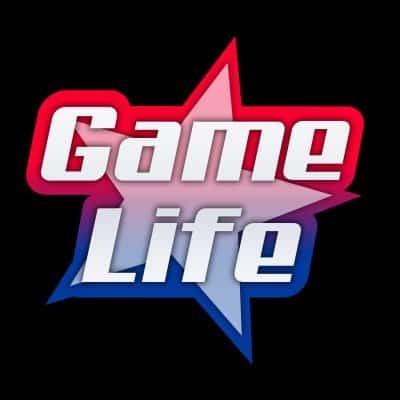 Getafe managed to take one point last weekend versus Valencia. The game finished without goals and one of the reasons was Djené who played extraordinary well in back line. Djené is a defensively oriented player with decent pace. He is very aggressive and his Interceptions skill is rated at 88. However, Marking is his weakness. 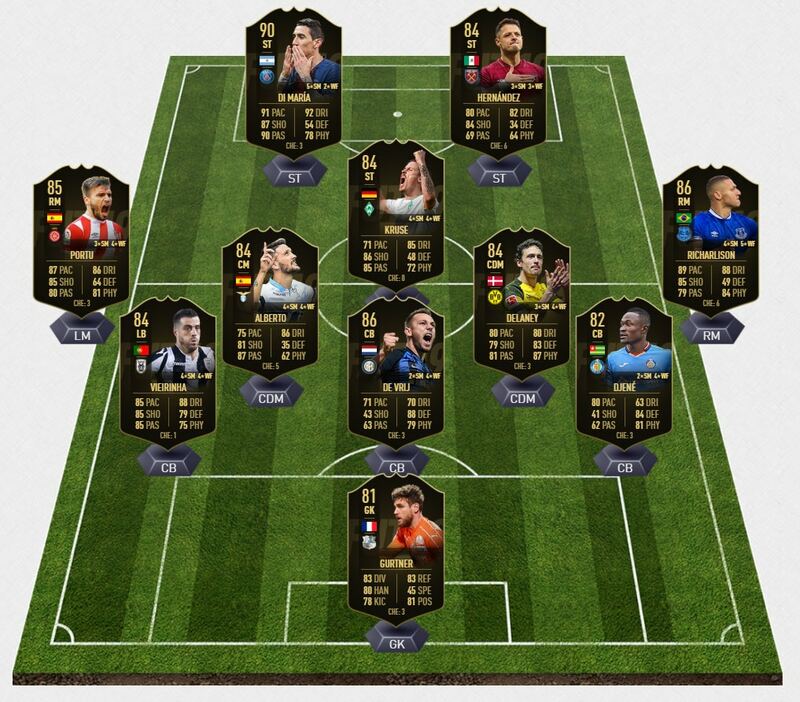 Surprisingly, Team of the Week 27 is the first TOTW that de Vrij is part of. His team, Inter confronted their biggest rival Milan in a local derby. Inter won 3-2, and de Vrij contributed with one goal. In FIFA 19 de Vrij lacks Pace, Dribbling, and Passing skills. However, his Defensive skills are exceptional. If you are looking for a firm CB for your Seria A squad, we highly recommend you to consider buying de Vrij. PAOK faced Panetolikos in a very tight match. Vierinha scored the first goal for PAOK to help his team to come back in the match. Vierinha’s standard card is not so good, but his new Team of the Week 27 card is perhaps one of the best cards in Greek League. His In-form card has only two weaknesses: Heading (62), and Strength (63). All other skills have a rating above 70. That makes Vieirinha a good choice for any FIFA 19 team. Borussia Dortmund played a crazy match against Hertha BSC last weekend. Reus set the final score 3-2 in the last minute. Thomas Delaney scored one goal and was the best-rated player on Dortmund’s side. In FIFA 19, he has a very good Stamina(96), Jumping(90), and Aggression(88) skills that makes him one of the best CDMs in the game. Luis Alberto player a brilliant game versus Parma. He scored two goals, had one assist and 70 successful passes (83.3 % accuracy). He also had 7 key passes, which is amazing. If we take a look at Alberto’s FIFA 19 card, we will see that he is a real magician. His best skills are Ball Control and Short Passing (90). In addition to that, he has a good Vision, Long Passing and Dribbling skills. Premier League fans witnessed one big upset last week. Everton managed to defeat Chelsea 2-0 at home. Everton’s right midfielder, Richarlison scored the first goal in 49th minute to make things easier for Everton. That goal definitely had a big impact on the final outcome. Nevertheless, Richarlison played pretty bad overall. He had 62.5% passing accuracy and has won just 7 out of 20 duels. 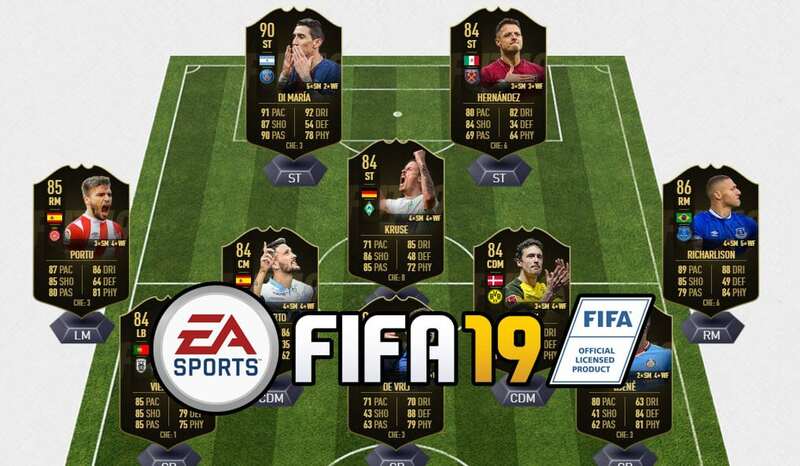 However, Richarlison managed to get to TOTW for the second time in FIFA 19. If you need fast RM with good dribbling skills, Richarlison is your man. Portu is another quick Right Midfielder in Team of the Week 27. Alongside his exceptional pace, Portu has incredible shooting skills. The rating of his Stamina is 89, so he can run beside line during the whole match without a problem. He is definitely one of the best low-profile RMs in FIFA 19. Last weekend, he scored two early goals in a duel against Leganés which turned out to be sufficient for 2-0 victory. A team of the Week 27 is the first TOTW that Kruse appears in. Werder Bremen’s captain played very well scoring two goals and providing his teammates with one assist. So, he participated in all three goals that Werder Bremen scored. Considering that he is 31, his Pace and Physical skills are in decline. Nevertheless, he knows how to score Penalties(92), and has high-quality Finishing(88) and Positioning(88). His Standard card costs 700 coins, so you can easily get a very good attacker for little coins. We saw seven goals in total in the match between West Ham United and Huddersfield Town. It was an incredible match that featured a last-minute winning goal for completing West Ham’s comeback. One of the heroes of West Ham was Javier Hernández who scored two goals even though he came in the game at the beginning of the second half. Hernández is an excellent striker who comes with good Finishing, Positioning and Reaction skills. He is the kind of striker who scores the most goals in FIFA 19. PSG defeated Olympique de Marseille 3-1 and di María participated in all three goals. He scored twice and assisted once. The Argentinian player was the Man of the Match. There is no need to spend words on how good di María is as he is a world class attacker. If you have enough money in FIFA 19, you should definitely buy him for your Ligue 1 squad.